Global Whipping Boy Russia is good for the movie business. The latest is a documentary glorifying a fugitive with blood on his hands. Portrayed as heroic whistleblower, Doctor Death, Grigory Rodchenkov, gets a Pablo Escobar/Hollywood makeover. Maria, not her real name, caught a cold. Fifteen months of travel, tennis training, and tournaments took their toll on my 19 year old tennis player-client. Dropping off a box of Theraflu, I told her to rest. Two days later, Friday, dope testers arrived at her apartment in northern Moscow and took a urine sample. Theraflu, it’s okay? she asked. Call the Russian Anti-Doping Agency (RUSADA) office or laboratory, they answered. Panicked, she phoned me. Sit tight, I said, I’ll sort it out Monday. Eight tearful calls later and I was on a train back to Moscow. 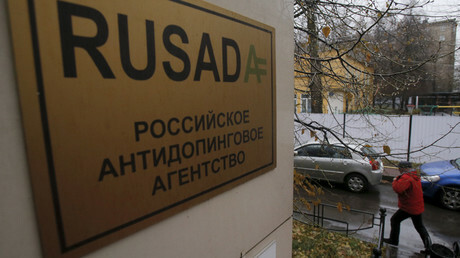 Not the Russian Tennis Federation (RTF), RUSADA nor the lab could answer our questions. Eventually I got the number of a woman, Marina, associated with the lab who would assist us. I met her in the center of Moscow. She said her ‘company’ helped athletes (including one I knew) through the doping minefield. She gave me a poorly printed business card and said she’d be in touch. One week, two calls and one email later, we had a Saturday meeting with her RUSADA contact in the town of Fryazino, Moscow Region. Across the table from me in a small cafe, the Rodchenkovs told me that for just $3,500, they’d ensure her test would be negative, i.e. clean of any banned substances. For the future, we could discuss terms. I paid for our teas and left. I’d just had a meeting with Doctor Death and his sister, better known as Grigory and Marina Rodchenkov. Marina was a former runner, Grigory was director of the World Anti-Doping Agency (WADA) accredited laboratory in Moscow. Called ‘Doctor Death’ by an investigator I interviewed in 2012, Grigory controlled testing samples taken from athletes, yet here he was, in 2010, offering to ensure my athlete had a clean test in return for cash. The gruesome twosome operated a highly profitable business supplying drug dealers with dangerous chemicals known as PEDs or Performance Enhancing Drugs. Their PEDs improved muscle, stamina, recovery, and, I was jokingly told by an investigator, make you run the 100 meters in 10 seconds. Until then, I thought chicken nuggets were the choice of champions. I called that athlete I knew. He too had been squeezed by the duo. Convinced to report them with me, he encouraged two others. The following year, the Rodchenkovs were arrested. She took the fall, while he, after an attempt on his life, returned as director of the lab in 2011. Doctor Death spent time in a psychiatric hospital to escape criminal prosecution, as his sister was sentenced to 18 months in jail (later suspended on appeal). I visited him for an interview at his lab in late 2012 for an investigation into sports corruption. He said doping was a global epidemic, testing was a joke, refuted rumors that athletes were personally chasing him for payback and that he fought for clean sports. I asked him why he’d requested $3,500 in 2010 for a clean test. He claimed that he was under stress, his sister and “others” had blackmailed him into joining their criminal enterprise. Yet he didn’t apologize. I later found out it was because he was lying to me. The next time I heard about Doctor Death was in the foreign media in 2013. Then he popped up in a sports newspaper receiving the Russian Federation Presidential Certificate of Honour in 2014. A few months later, he received the Order of Friendship, the same prestigious award new US Secretary of State Rex Tillerson received in 2013. Crime paid off for the Bad Doctor. In most countries, the PED trade is controlled by criminal elements. In France, between Colonel Fabien and Belleville metro stations in Paris, Chinese and Algerian criminals fulfill the PED needs of dealers, athletes, and bodybuilders. It is an open secret. In Russia, one Caucasian gang can supply all your PED desires. Their base is next to Kievskaya Railway Station in Central Moscow, and deals are conducted from a number of locations, including a nearby McDonald’s. It was with this particular group that Marina Rodchenkova worked and from whom her brother is on the run, according to one PED dealer interviewed under condition of anonymity. 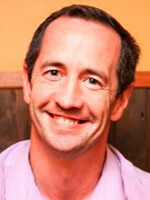 He believes this group was behind the 2011 attempt on his life, and once Grigory’s lab was closed in November 2015 and he was fired as director, he became a liability to them. Rodchenkov has admitted to perfecting a cocktail of drugs which he sold to athletes. He has admitted to tampering with samples and wiping positive samples from the system. Lauded as a whistleblower, he was very keen to escape sanctions for his criminality by law enforcement agencies, as well as from those he was in league with. Having spoken with athletes who used substances concocted by Doctor Death and his cronies, they are furious he has escaped arrest and justice. He, his sister, and their criminal accomplices also supplied gyms and drug dealers. A lucrative market exists amongst bodybuilders and people looking to build muscle quickly. As a recognized expert in doping since the 1980s Rodchenkov cashed in, providing PEDs since his return from Canada in 1999 – where he worked in an anti-doping lab in Calgary. What disappears from the current narrative surrounding this criminal is his 30-year record in advancing doping science using humans as guinea pigs. Doctor Death’s disregard for human life stands on a level with big pharma. The problem with the 2013 Mail on Sunday article is that large parts were fed by vested interests, especially a lawyer representing victims of Rodchenkov. As was the case with the Stepanovs, money and revenge were the motivation factors. Liliya Shobukhova, the second-fastest female marathon runner in history, blew the whistle when she didn’t receive a full return of bribe money after testing positive for PEDs. She received more by going public, according to those involved in her media deal. She, the Stepanovs and Rodchenkov are portrayed by fawning foreign media as whistleblowers, despite never condemning their own behavior. The hypocrisy is overlooked, just as Rodchenkov’s deadly criminal past is covered up by an ambitious filmmaker. An account that has increasingly more holes than a sieve. A man who lied and sold out his own sister to save his own skin, gets the whitewash treatment. This title guarantees love from hysterical media and increased ticket sales (and maybe awards). Doctor Death and Bryan could play chess and discuss the Boyne Valley neolithic landscape in Ireland and it would be hyped as an exposure of the ‘state-sponsored’ doping regime in Russia through the prism of prehistoric interactions of humans and place. The aim is to make money from misery, using lies, and this aligns perfectly with Rodchenkov’s history. Theraflu did not contain banned substances. Marina and Grigory knew this. When I asked him in 2012 why they didn’t tell me, he said Marina told him that the simple over-the-counter flu medicine was code for Maria using PEDs. In the world of Doctor Death and his cronies, nothing is straight and everybody has a price. Fogel’s is money and to whitewash the lives Doctor Death took and shattered in Russia. 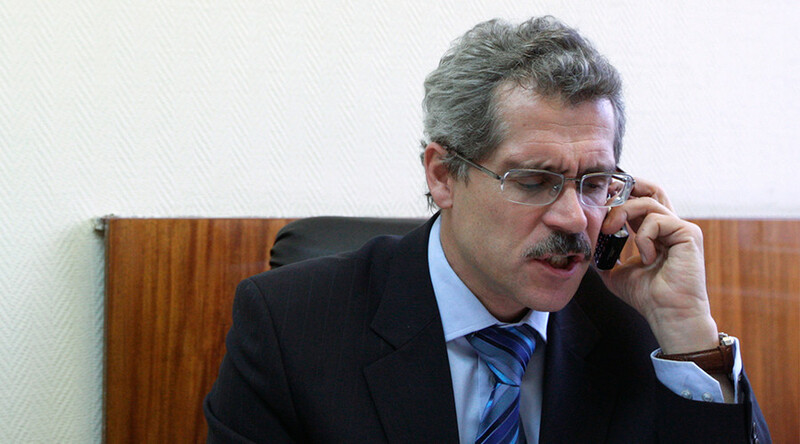 Grigory Rodchenkov is a criminal, not a whistleblower.